Donnie Rowe Heating & Air Conditioning is proud to serve the Lexington community! Please call us today at 859-327-8212 to consult with our home comfort specialist. Donnie was very helpful and had quick response to what could have been a difficult problem for others (replacing primary and secondary heat exchangers). His crew was very polite, professional, conciencious, and did a great job. I highly recommend them for your HVAC needs. I can't say enough good things about Donnie Rowe Heating and Air. They just completed the installation of a new air conditioning unit and evaporator coil (completely unexpected expenses for us... yikes), and I can certainly see why they're one of the highest rated companies on Nextdoor. The initial technician that came to our house gave us the quote (a separate salesperson wasn't sent to our house days later like other companies we received quotes from), and our installation date was set for about a week after we called back to let them know we were going to use them. Installation went flawless, they were extremely courteous, and they cleaned up so well it doesn't even look like they were ever here. As someone who was a bit apprehensive when it came to using them (I had never heard of the company before reading reviews on Nextdoor), I highly recommend their services. It also doesn't hurt that they quoted us the lowest price of all of the estimates we received while offering the exact same make and model air conditioning unit as the "other guys". No hassle, no headache, and now we'll survive summer. I've spent a number of years renting somewhat cheap places, and when we bought our home 2 years ago we knew the AC system was on its last leg. So it's safe to say that I've dealt with a number of HVAC companies over the years. Donnie Rowe is far and away the best I've ever dealt with. When our old unit finally gave up the ghost, it was a Wednesday evening after hours. We found Mr. Rowe's company through the carrier website, because I knew that I wanted a higher end system that would last. I emailed Mr. Rowe through his website after business hours, not expecting to hear back until the following morning. Within an hour I had an email and a scheduled appointment for first thing Thursday morning. When Mr. Rowe arrived, he was the epitome of professionalism. 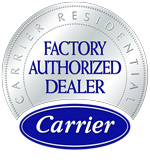 He advised me on carrier's product line, and gave me what I felt was an extremely honest opinion of my options. I was looking to convert from an electric heat pump to a gas furnace unit, and Mr. Rowe said that would be no problem at all. He even walked me through financing options and explained every thing that would have to change and be updated as part of the replacement process. The replacement was scheduled for the following Tuesday, as that was the first available date. Mr. Rowe's crew arrived on time and were efficient and professional in their work. They were friendly and didn't make me feel like I was in their way when I asked questions or wandered out to check out the progress. When they came inside the house to change out the thermostat unit, they even took their shoes off, which was wholly unnecessary but a very considerate thing to do. While I can't say I was happy to have to spend the money on a new system, I can say that I was thoroughly pleased with the experience all the way around, and I would not hesitate for a second to recommend Mr. Rowe to anyone who asks. Exceptional service! My wife and I purchased a 100 year old house and the AC went out almost immediately. We put up with it for as long as we could but couldn't take it anymore. We got a few quotes from a few other companies but decided on Donnie Rowe. We had a new AC system put in today and Donnie Rowe and his crew was excellent. Very polite and quick and efficient. 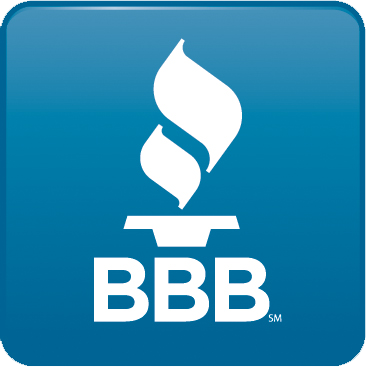 I was pre-approved for financing but he was able to increase my credit limit AND get me much better terms while at the same time offering a better price than the competitors for the same type of AC system. I highly recommend them! About Lexington, KY - Happy to be your hometown Heating & Air Conditioning Contractor! Lexington, Kentucky is known as the Horse Capital of the World. As of 2017, nearly 322,000 people called the city home, making it the second largest community in the state by population. Lexington is found within Kentucky’s Bluegrass region, and Kentucky’s oldest bluegrass music festival – the Festival of the Bluegrass – is held here each June. Lexington ranks among the top ten U.S. cities in college education rates, and there are several opportunities for higher learning here: the University of Kentucky, Transylvania University, Bluegrass Community and Technical College, Spencerian College, and several others. Many employment opportunities are also available in the city, and outside of the education industry, top employers include KentuckyOne Health, Xerox, Lexmark, and Baptist Health. Lexington is a popular destination for visitors, as there are many things to see and do here. Not surprisingly, many of these attractions revolve around racing, such as the Kentucky Horse Park, Keeneland, and The Thoroughbred Center. The Mary Todd Lincoln House is one of the most popular historic sites in the area, and visitors in need of some adult beverages might like to stop by the Alltech Lexington Brewing & Distilling Co. or West Sixth Brewing. Other noteworthy destinations in Lexington include The Aviation Museum of Kentucky, Whitaker Bank Ballpark, and the Fayette Mall. Lexington is found in the upper boundaries of a humid subtropical climate region. Summer weather here is hot and humid, and average high temperatures in July reach the mid-80s. Nighttime temperatures are cooler with lows in the mid-60s, but it is still important that residents have the right cooling systems at home to stay comfortable. Central air conditioning is more affordable than ever, and the right system can also improve indoor air quality within Lexington area homes. The winter season in Lexington is cold with the occasional period of mild temperatures. There are about 20 days each year in which high temperatures stay under the freezing point. On average, daily high temperatures reach about 40 degrees in January, and the area receives about 13 inches of total snowfall each year. A gas or electric furnace will keep indoor conditions comfortable throughout the season.